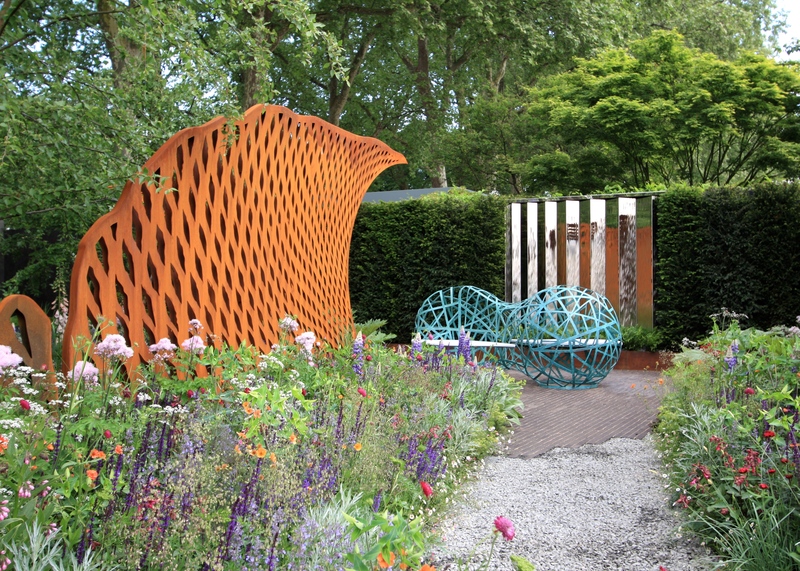 Such is my inability to pick a winner that none of my three favourite show gardens won a gold medal this year. This is why I am not a betting man. 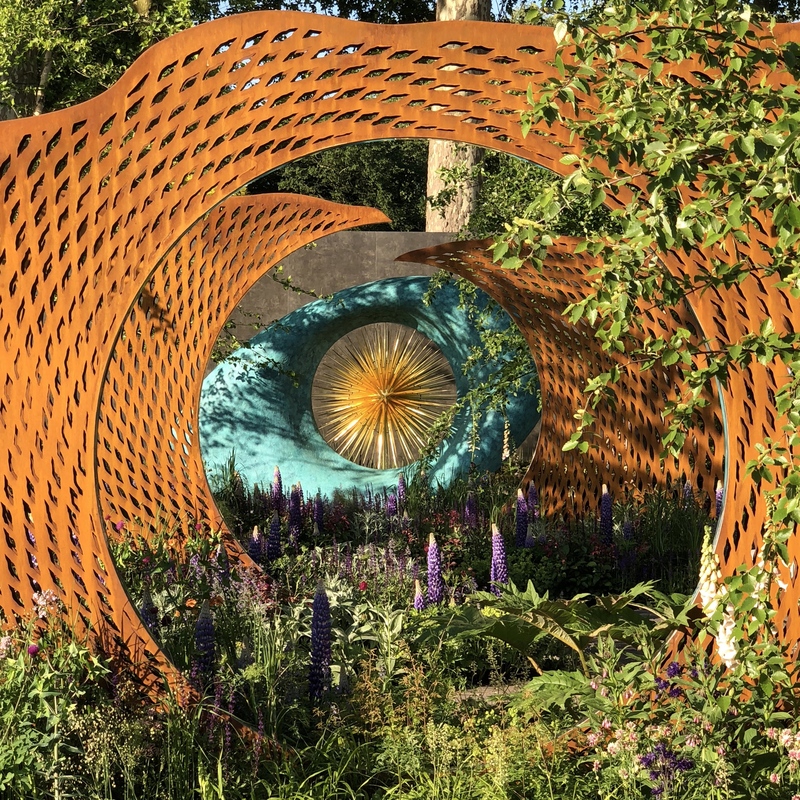 My own disappointment is irrelevant, but it must be difficult to reflect objectively on your endeavours when you’ve invested heart and soul in a project as demanding as creating a show garden at Chelsea. Bronze medals are rarely awarded, and when they are the reasons are usually plain to see. However on this occasion I am totally bemused as to why the David Harber and Savills Garden did not do significantly better. Rather than speculate as to where the garden fell short, I’m going to describe it in as positive terms as I can, and commend it to you as worthy of greater recognition. 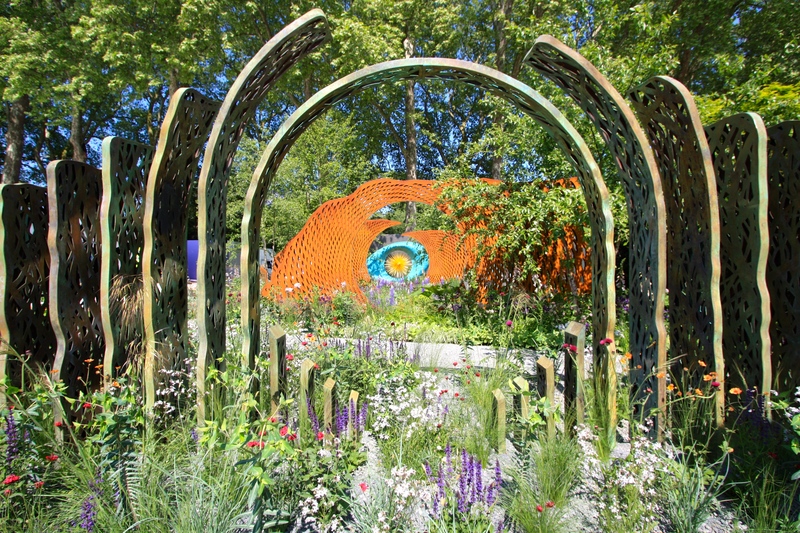 Occupying one of the large, rectangular sites on Main Avenue, the key contributors to the garden are designer Nic Howard, sculptor and sponsor David Harber, sponsor Savills and contractor Langdale Landscapes. At its simplest level their idea was to make a garden suited to displaying sculpture, no doubt for a client with taste and money. Judged on that basis, the garden succeeds in meeting its brief. One could well imagine this luxurious plot languishing behind a Holland Park townhouse, tended to by gardeners and used by the owners for sophisticated entertainment. There is, of course, a narrative, which involves mankind’s evolving relationship with the environment. The story begins with a natural landscape coming under human control and ends with a sculpture called Aeon, representing a nucleus of energy that keeps our planet in a state of equilibrium. Aeon is viewed through aligned openings within four sculptural screens, creating a metaphorical wormhole through space to the beginning of time. I admit that much of this sculptural allegory is lost on me: I have a keener eye for what’s beautiful than what’s meaningful. Yet I would say that as a whole I find the garden pleasing, dramatic, even exciting. Whether at 7am in the morning or 8pm at night, the garden looks outstanding, filled with intense colour and dramatic shadows. 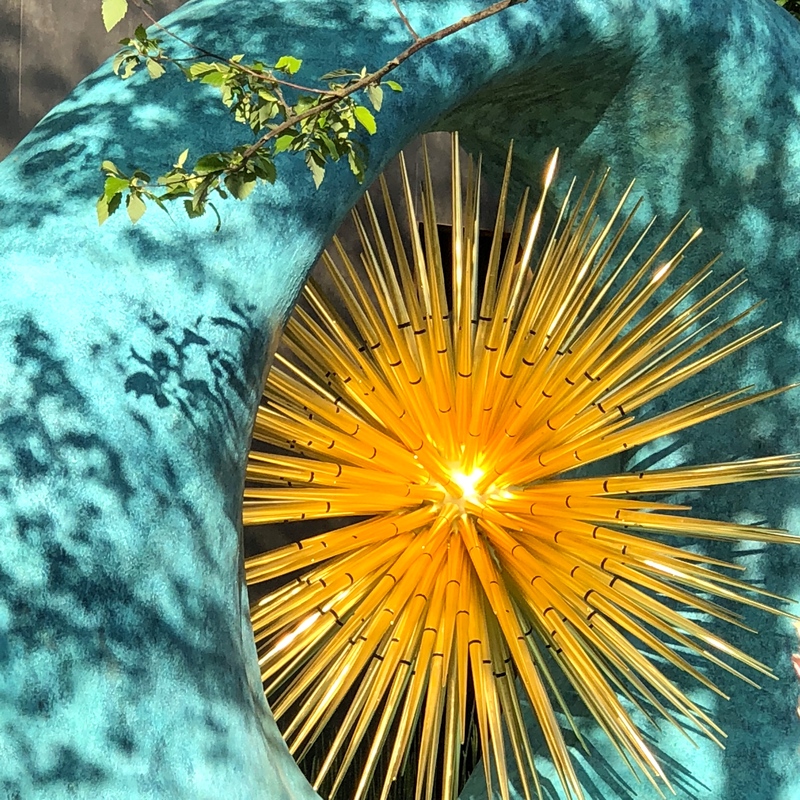 Without doubt what makes it for me is Aeon, a colossal, amorphous, verdigris-bronze sculpture with a star-burst of 256 gilded aluminium spikes at its heart. At the end of each day, with the sun low in the sky, the gold glows as if lit from within. During the day, the way the draping branches of Betula nigra cast shadows on the sculpture’s outer circumference is also lovely. Aeon is a staggeringly bold and effective piece, deserving of public display. The first sculptural screen, Enclosure, represents humanity’s attempts to enclose and control the environment by creating rudimentary barriers. Twenty-six bronze panels make up Enclosure, each panel an individual mesh of swirling organic branch and tree shapes. The next two screens, fashioned from richly-textured, oxidized-steel, symbolize the emotional and intellectual development of human culture. Crisp geometric patterns reflect our ability to design for pure aesthetic enjoyment. Finally, a fourth screen, Sophistication, contains a subtle flaw, reminding us of the threat we now pose to our environment. The last sculpture in the quartet is placed to one side of the vista through which one gazes into the future across a sea of lupins (lupins, lupins everywhere, and not a drop to drink!). Wrought from random strands of bronze, representing human thought and DNA, the Bench of Contemplation is intended as a talking point and conversation facilitator. It can be perched on from either side, with a mirrored water feature behind it. The planting of the garden does not, arguably, echo the journey taken by the sculptures, which themselves suggest a decline in the abundance and freedom of nature. Instead the planting is introduced in a relatively sparse way at the front of the garden, becoming more lush and verdant as it reaches the back. 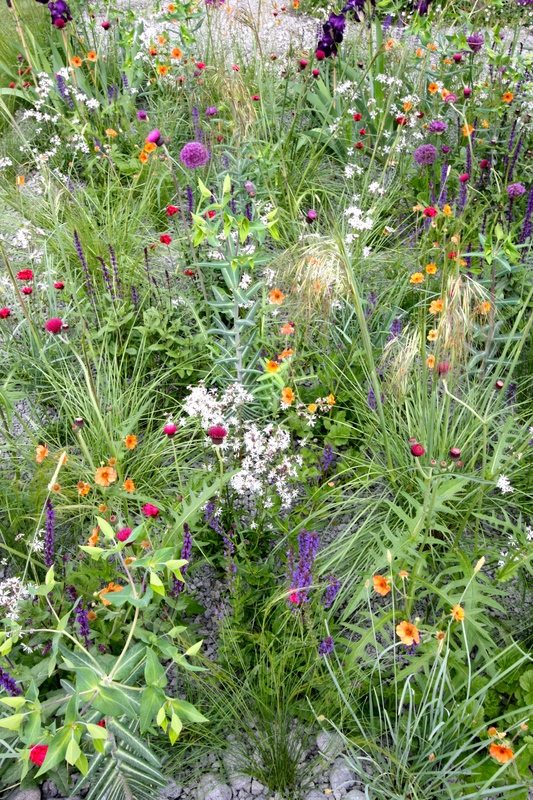 I studied the planting and the rhythms within it for some time, trying to work out what had rankled with the judges, but I could think of very little. Perhaps an understorey layer – some structural shrubs or evergreens – was what they felt was missing. The front of the plot would certainly be very barren in winter if this were anything but a show garden. Despite the expert judgement I liked this garden a great deal, and it is my joint runner-up for ‘Best In Show’ alongside the Trailfinders South African Wine Estate Garden. 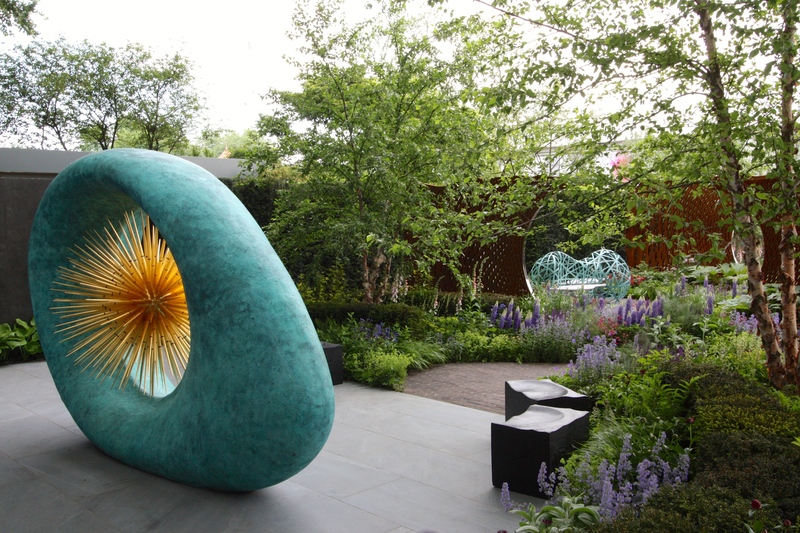 For David Harber, a sculptor of some standing, and corporate sponsor Savills, Nic Howard created a wonderful setting for a bold and uncompromising suite of works. Views into the garden were pleasing from every angle, and the vista that ran front to back will continue to take visitors’ breath away until Saturday. Having worked together on several award-winning trade stands, I hope that David and Nic will not be deterred from trying again at Chelsea. 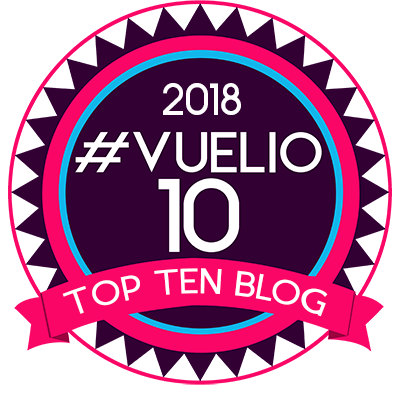 Sculpture as a form of garden ornament is clearly on the rise in terms of popularity and this daring composition brought something different and welcome to the fore. Bravo for trying and better luck next time chaps. Fortune favours the brave. TFG. Continue scrolling down for a comprehensive plant list. Dan, thank you for the video and excellent piece of horticultural journalism ( is that a term!) . I was unable to visit Chelsea this year and reading your blog has made my day. Savills Garden is my idea of a grown up garden and your piece captured most importantly the impact it made on you and I can say I felt the magic ! That backshot of the Aoen is exquisite. Enjoy the rest of your week. I love the photo of the Aeon through the screens- such depth and shadow interest. As an uninitiated Antipodean gardener I’m wondering how these designers put all the gardens together, and how much time does it take to achieve such perfection. Thank you, Dan- I’m looking forward to the next instalment. A prodigious feat of planning and organisation, then. I’m amazed that it’s only open for six days after all of that. Thanks for that info, Dan. Like you Dan – I really liked this garden a lot. Maybe it was the clash of colours and textures that the judges found unappealing….That Aeon is wonderful. 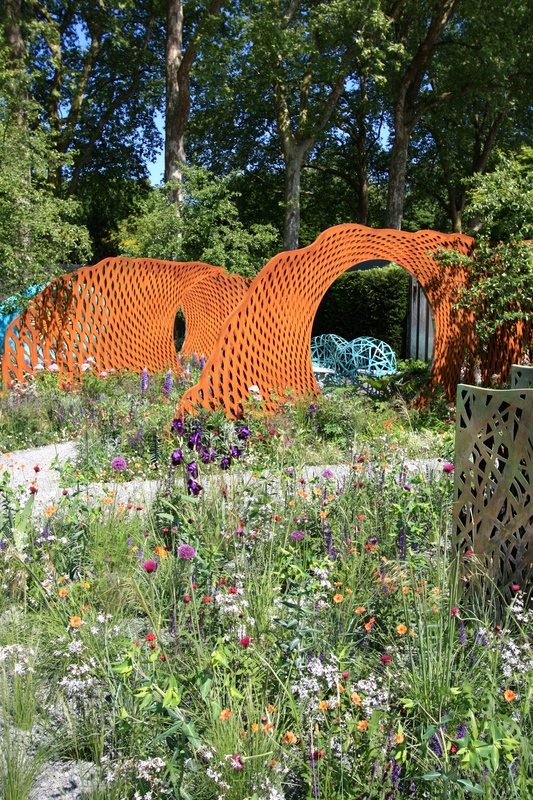 I love the planting and I have long lusted after David Harber sculptures, but agree that there is something not marrying between the colours of the two. I think I saw in a tv interview that the designer had not seen the sculptures until they were delivered to the garden, and perhaps that comes across??? Maybe if there was glaucous turquoise foliage and orange and yellow flower colour in the planting? Poor Chelsea designers. Everyone’s an expert! Bronze are you kidding me. Some politics involved here. I remember the years Mr D Gavin upset his particular applecart with the judges. The planting and sculptures together are exciting spectacular even and sure in the winter there will be less plants in view but the sculpture would then take central position with the remains of the grasses and would surely still be worthy of a silver gilt ? Well, firstly I have the week off, so I’ve got more time to post, but secondly I have a full-on cold so I’m stuck indoors. I’m going attempt a little light gardening this afternoon and see how I go. I thought this was stunning, it was my favourite. I loved the contrasting turquoise and rusty orange and the view through with the stunning lupine was breathtaking.